Our pre-designed cabinet systems are suggested configurations allowing you to make the best use of your available space. Available in thee configurations, these assemblies are suitable for all garage sizes. Don’t have a solid wall to fix to? All our wall cabinets, and tower units are designed to be fixed to fixed to a wall for security purposes. If you don’t have a solid wall to fix to, don’t worry we can supply a fixing frame to hold your cabinet system together. If you would like a cabinet system made specifically for you, in unique sizes, or finishing in a different colour, material or configuration, please do not hesitate to get in touch. 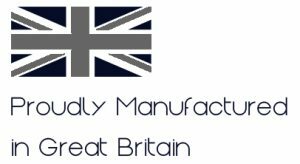 We are manufacturers based in Great Britain and can accommodate almost any request.